There is no doubt that Saturday will be a poignant affair. The matchday programme is dedicated to the 56 fans who lost their lives on that fateful day nearly 30 years ago, and there will be a minute’s silence held at every Premier League and Football League game in memory of the fire. In addition to this, England manager Roy Hodgson and FA Chairman Greg Dyke will be in attendance at Valley Parade to pay their respects. After a turbulent couple of weeks both off and on the pitch, Saturday is a chance for us to reflect on the successes of this season, and to show our appreciation for their efforts. On the pitch, this season has provided memories that will last for a lifetime. The fantastic comeback over Leeds United in August and the demolition of Ian Holloway’s Millwall would have been standout moments in any season, yet the incredible victories over Chelsea and Sunderland have surpassed these. The Chelsea win, in particular, is a reminder of just how far we have come since Phil Parkinson took charge of The Bantams in August 2011. Parkinson’s first season at the club saw us fighting for our Football League survival, ending the year in eighteenth place. Fast forward three years and City are in prime position for a serious play off push next season, having laid the foundations this year. Whilst City’s play off ambitions tailed off somewhat towards the end of the season, there are certainly reasons to be optimistic for next year. One reason to be positive is the promising crop of youngsters we have at the club at the moment, with the most high profile of these being Oliver McBurnie. The Scot has been out on loan to Chester for the last couple of months, and has recaptured the scoring form that thrust him into the limelight last season. McBurnie grabbed his first goal for Scotland under-19s a couple of weeks ago, and has scored three goals in his last six games for Chester. Regular game time is essential next season for McBurnie if he is to develop to his full potential as a striker. Also coming through the youth system are first year apprentices Reece Webb-Foster and Dylan Mottley-Henry. 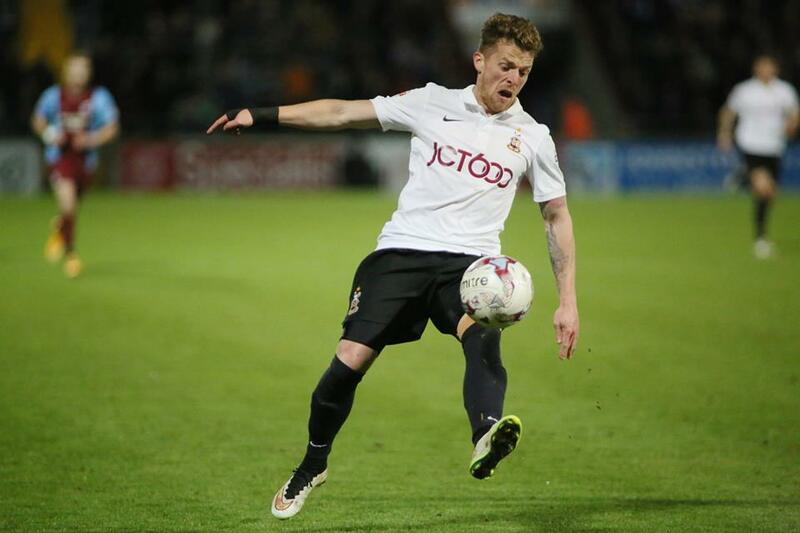 Both have made substitute appearances this season, and both are clearly highly rated by Phil Parkinson. Webb-Foster is a striker who has been clinical for the under 18s side this season, scoring 18 goals as Steve Thornber’s side won the league for the second year in succession. Dylan Mottley-Henry made an appearance in the Easter Monday defeat at home to Preston, and has blistering pace. Whilst these three players may not be ready for first-team action next season, with the right nurturing and development they are all very exciting prospects. As has been previously mentioned, there are quite a few players whose contracts expire at the end of this season, and Saturday provides them with a great opportunity to show what they can bring to the club. All contract negotiations, bar Jon Stead, are on hold for the time being. Turning attentions to the starting XI on Saturday, and City will be without the suspended Rory McArdle, whilst Filipe Morais is a doubt with a knee injury. Christopher Routis may retain his place in the side after a good performance in midweek, whilst the in-form Billy Clarke is guaranteed to start following his impressive recent form. Saturday gives us the chance to reflect on this season, and take the positives that have come from this campaign.